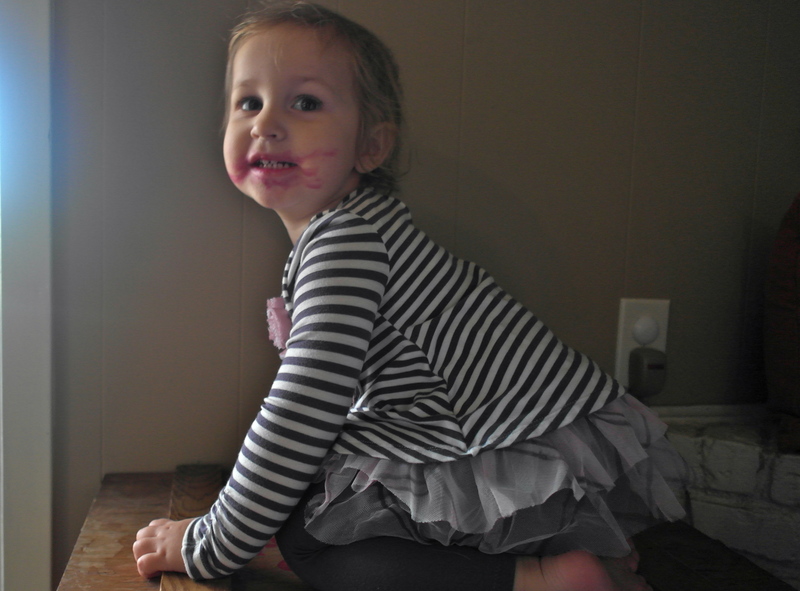 Toddler Stylings by Lillian: Quick and Easy Makeup Tips That Will Wow! Putting on your makeup shouldn’t take long. There are, after all, cartoons to be watched, cuddles to be had and rooms to be destroyed. But, it does take some finesse to efficiently apply the perfect face. In this quick lesson, I will teach you how to really “glam it up” in less time than it takes Mom to change baby brother’s diaper. Step 1. Don’t head for Mom’s makeup drawer. I know that’s where you were going. And, while Mom’s lip gloss might work for every day occasions, if you are really looking to go glam, then head for the craft drawer. That’s right, the craft drawer. Now pick out the brightest marker you can find. Step 2. Open the marker. Step 3. Apply marker to your lips. Then, apply marker around your lips for that extra pizzazz. Don’t forget your cheeks. You don’t want them feeling left out. Voila, you have the perfect look. Go show Mom. She’s probably just zipping up baby brother’s onesie. Her amazement of your beauty will be worth it all. Step 4. You are probably thinking that after creating the perfect look, you are done. But, NO! Don’t fall prey to such naivety. The marker must be destroyed! To truly be glam, no look can be repeated. To accomplish this, simply pick out the marker tip and tear it in to tiny pieces, taking care to spread it across the floor. This will ensure that no adult can simply put it back together. Stay tuned for more Toddler Stylings by Lillian. Next time we will be discussing tips for redecorating your play area…and the rest of the house. Well, at least she won’t be able to repeat that look. I hope it wasn’t too difficult to clean! Luckily, it wasn’t too difficult! I often wonder if that’s what she thinks I look like with makeup on! !